It's always more fun to dress up for a pub crawl. 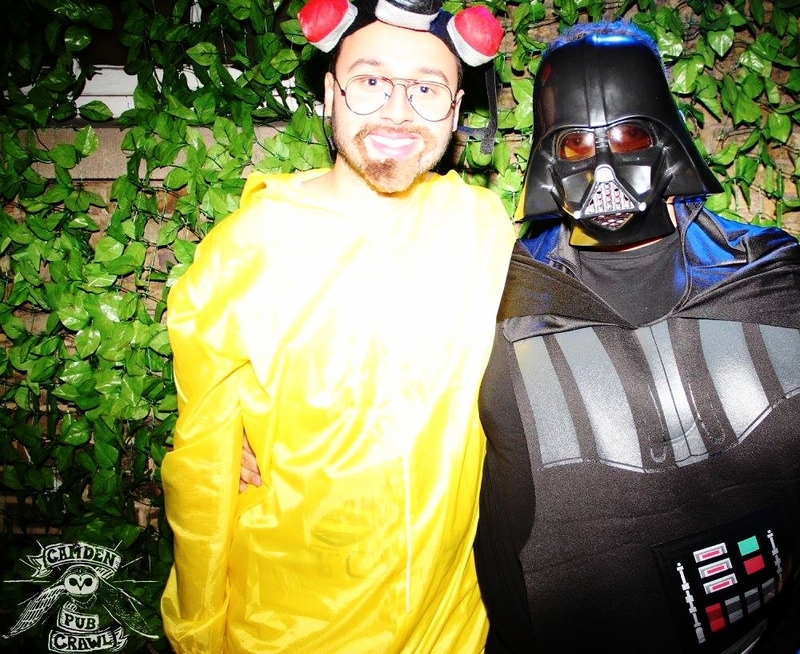 The Camden Pub Crawl officially welcomes costumes! 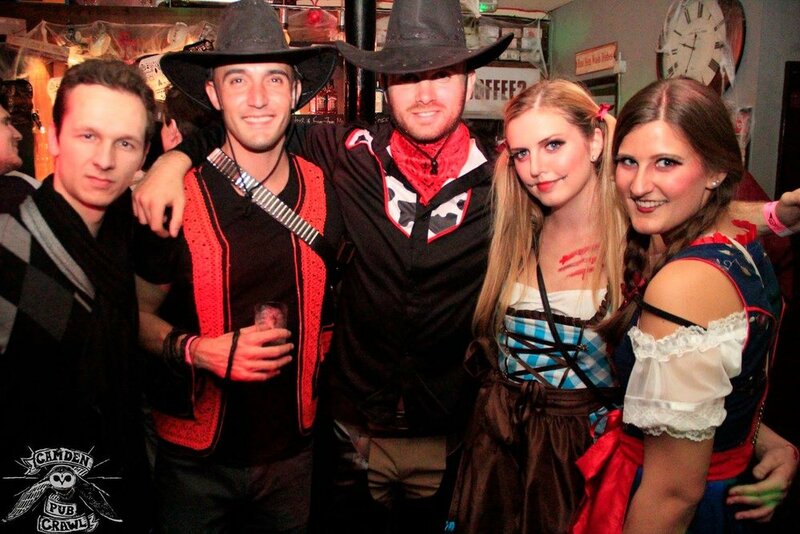 It's such a great idea to dress up in fancy dress for the Camden Pub Crawl, not only at Halloween! Here are some of the best dressed costume wearers on pubcrawls of the past. 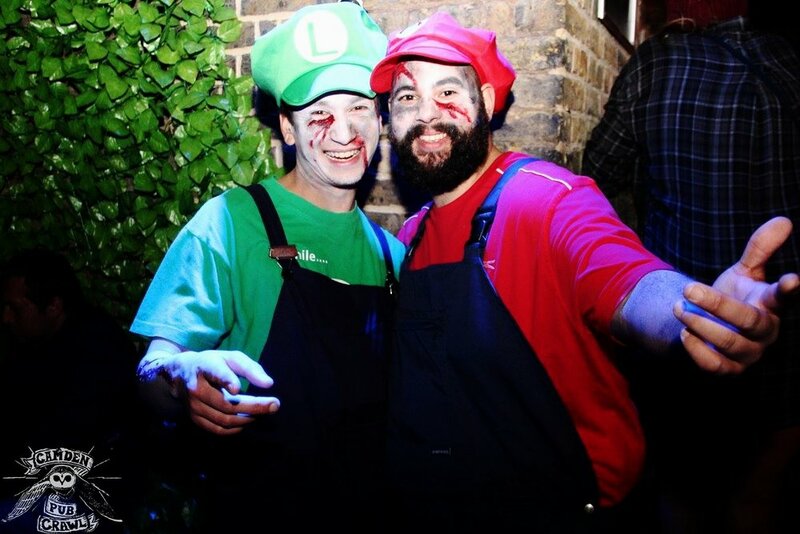 We have many more great dress-up photos from our pub crawls and will keep adding them to this page. If you have photos of yourself wearing a costume on the Camden Pub Crawl, please e-mail it to costume-photos@camdenpubcrawl.com and we will add them to this page.